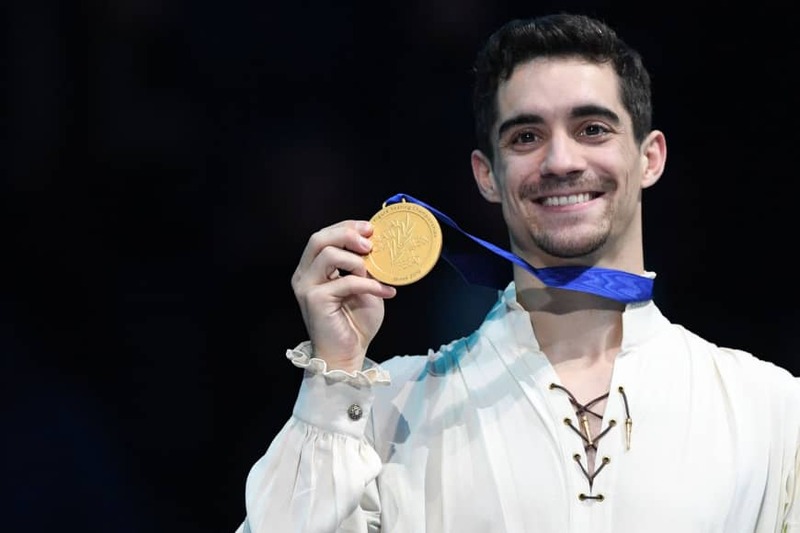 Interview with Javier Fernandez after European Championships 2019. Javier, when you started to skate, have you dreamed of seven European titles? – When I was little, I wasn’t sure that I would win even one European title. Of course, I didn’t know that I would win the European Championships seven times. It’s a little bit sad that it’s time to leave. I have trained for 21 years and now I will skate, but not at competitions. I think that I had a good career, I have achieved more than I expected to achieve. How did you manage to focus and cope with emotions before the free program? – I have a feeling that I have been skating forever. There were so many competitions that I know how to perform. Skating after Yuzuru Hanyu – this is a great lesson, and I had such lessons. Therefore, I knew that I could skate well. In addition to the seven European titles, how would you assess your contribution to figure skating? – I think it’s good for the world that not only athletes from strong figure skating countries can win. Everyone has their own story. I hope that I will become an example for figure skaters in my country, I hope that I have made history of this sport. Maybe in a couple of years my name will be still remembered, we’ll see. (Laughs) In general, I’m proud of what I have done, but I still have more to do. Now when you have finished your career, you can tell all the truth. Did you talk with technical controller Yulia Andreeva who called your quad salchow under-rotated in the short program? – She didn’t say anything. She said that she will miss. After the short program I was furious, not because of judging, but because I made a mistake. Not because of the place I took. Even if I had placed not the first, but the fifth, it would have been a life situation. But I’m here, it means I succeeded. What qualities should a skater have to become a seven-time European champion? – I think you need to understand what kind of person and athlete you are. You can’t force yourself to do something stronger than you can do. The skater must be versatile. You can do five quadruple jumps, and still you will not be so. You have to do everything on time, not when you’re still a teenager. I spent 21 years in figure skating, and some finish in 3-4 years. Is it right? I don’t know if I can talk about it, but it’s rather not right. You skipped all the competitions of the current season before the European Championships. Why? – In the fall I skated at the Japan Open, after which I decided to skate only at the European Championships. I was busy at home, performed in show in Spain. I was too busy, so it was difficult for me to prepare for this championship. What are your most memorable career moments? – Hard to say. I won gold at two World Championships, seven European Championships. Which one to choose? Each was special. Perhaps this one, in Minsk, is the most special as the last one. Olympic medal is special. Japanese figure skater, ex-world champion Daisuke Takahashi left the sport and returned. Is there any chance that you will return if, for example, Spain gets the right to host the European or World Championship? – No. I will not be back. If only for some show competitions such as Japan Open. I achieved everything I could. I came to win the last European gold and I did that. I will skate in show, but I will not return to competitions.